Watson-Barker Listening Test (WBLT) - Innolect, Inc. | Innolect, Inc.
by Kittie Watson, Ph.D., Larry Barker, Ph.D.
Used successfully by universities and Fortune 500 companies, the WBLT assesses listening comprehension and measures five types of interpersonal listening skills: 1. evaluating message content 2. understanding meaning in conversations 3. understanding and remembering information in lectures 4. evaluating emotional meaning 5. following instructions and directions. Discover participant abilities to follow instructions, remember key ideas, understand lectures, understand interactions, and evaluate information. The WBLT’s video format involves participants in realistic on-the-job listening and includes audio and visual stimuli and various regional dialects. It simulates listening to televised messages as well as live interactions (no professional actors or actresses are used). 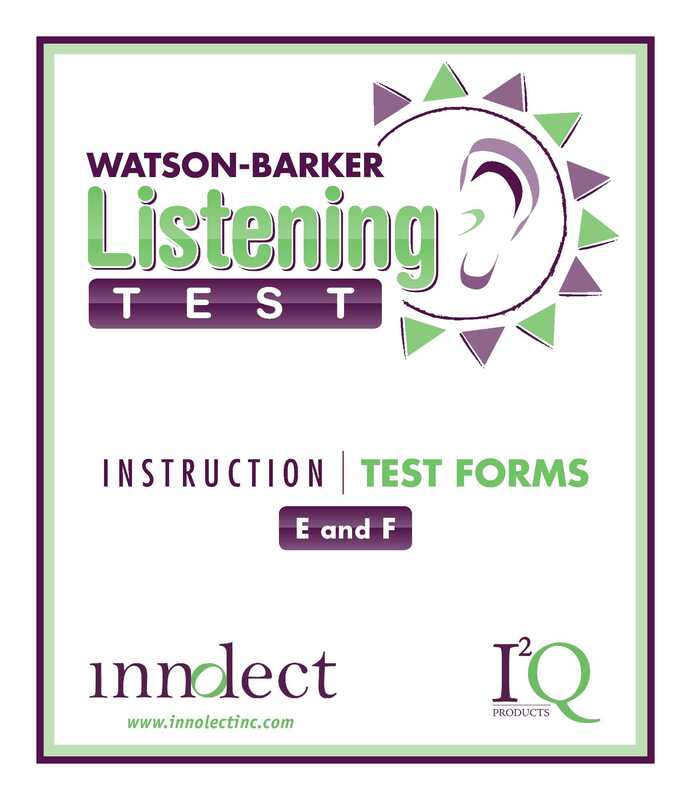 WBLT Video Form E & F – Includes one DVD (each form requiring 40 minutes to administer), facilitator guide, and 20 self-scoring answer sheets (20 each of Form E and Form F). Additional Answer Sheets are available in packages of 50 and 100.